Research across a large cohort using three different quality measures has shown that a healthy diet is associated with a reduced likelihood of experiencing asthma symptoms. People who eat a healthy diet are less likely to experience asthma symptoms, according to research published in the European Respiratory Journal. The researchers used prospective cohort data involving 34,766 adults who completed a respiratory questionnaire and at least three random 24-hour dietary records during a two-week period. Dietary quality was measured by three indices: the Alternate Healthy Eating Index 2010 (AHEI-2010); the literature-based adherence score to Mediterranean diet, MEDI-LITE; and the modified Programme National Nutrition Santé Guideline Score (mPNNS-GS). The team found, by way of all three indices, that a healthy diet was associated with a reduced likelihood of experiencing at least one asthma symptom. And in the 2,609 participants with an asthma diagnosis, better asthma control test scores were associated with adherence to a Mediterranean diet in women, and with AHEI-2010 and mPNNS-GS in men. The researchers said that previous research into asthma and diet has focused on specific foods and nutrients rather than overall diet quality. “Our results support the hypothesis that healthy diet, an important contributor to good health, might also be relevant in prevention of asthma and its lack of control,” they concluded. Now available as a 1 year print subscription to both the BNF and BNFC, ensuring you have the latest medicines information as it publishes and at a greatly reduced price. Now available as a 2 year print subscription to both the BNF and BNFC, ensuring you have the latest medicines information as it publishes and at a greatly reduced price. 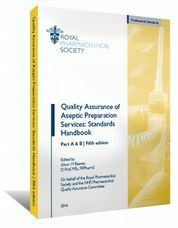 Standards for unlicensed aseptic preparation in the UK, as well as practical information for implementing the standards. 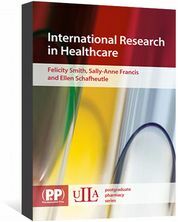 Guidance for students or researchers undertaking a multi-centre research project in health services, medicines use and professional practice. 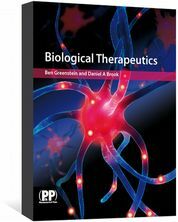 An introduction to the treatment of disease using biological medicines derived from living plant and animal tissues.